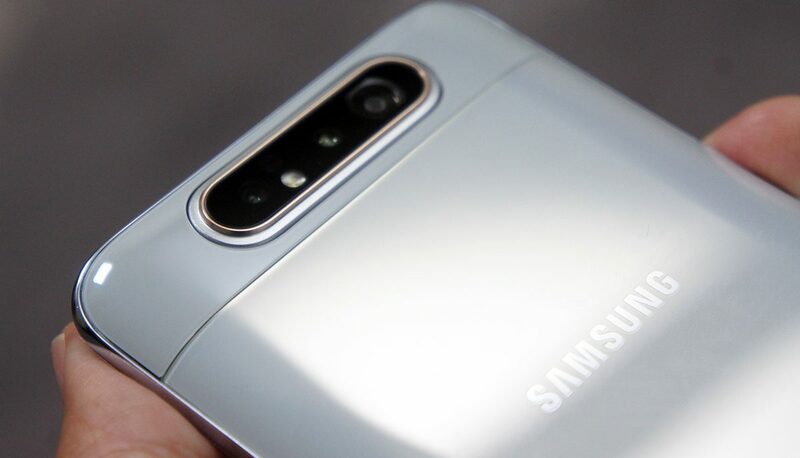 According to Samsung, we are moving from the “era of selfie” to the “era of live”. This is where people are increasingly using their smartphones to capture spontaneous photos and streaming live video. 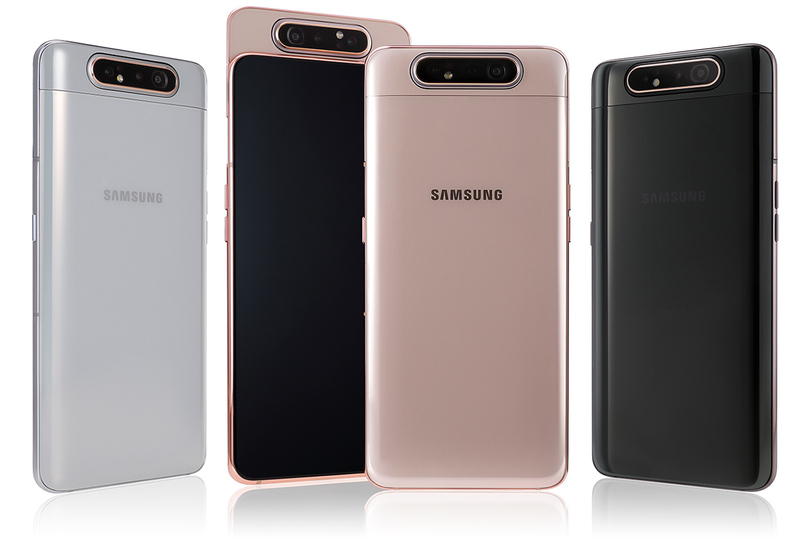 To build on this evolution in phone use, Samsung has come up with three new features in their latest Galaxy A80 offering: a rotating camera, a full-screen “notch-less” infinity display, and an intelligent battery. 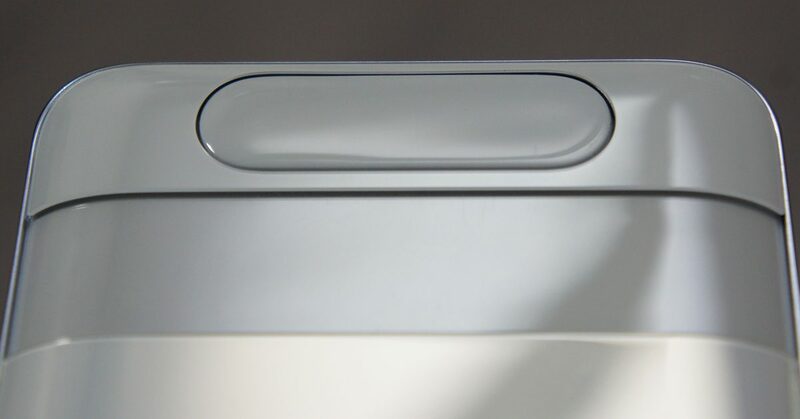 Let’s cut to the chase, you’re here to hear about Samsung’s first-ever rotating camera. 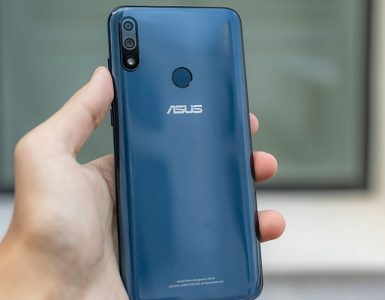 If you’ve ever wished that your selfies could be as high-resolution as your photos taken with the phone’s main camera, that’s a reality thanks to the Galaxy A80’s triple camera setup. 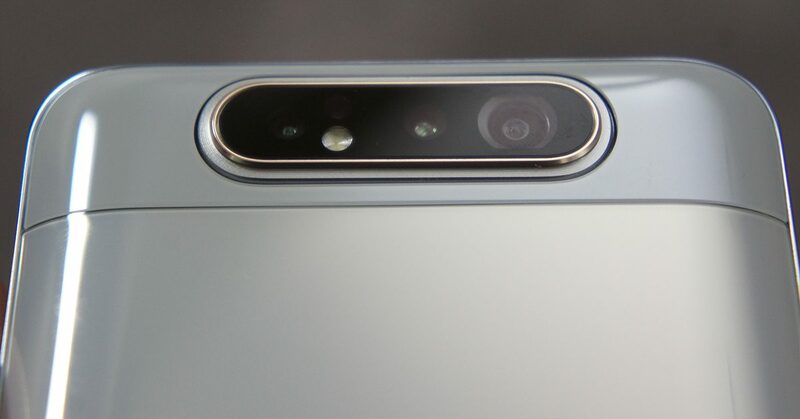 When you select selfie mode on the camera app, the three cameras automatically pop-up from the back of the phone and rotate. 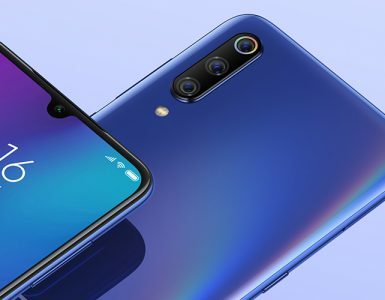 This means selfies will now have the exact quality of photos and videos taken with the same 48MP main camera lens, 8MP Ultra Wide angle lens, and the 3D Depth lens. 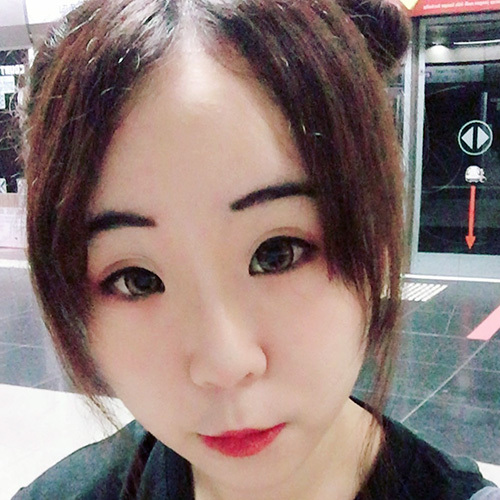 Taking vivid photos and videos in the day and night are now possible, even in selfie mode! Thanks to the rotating camera, we can finally say goodbye to the notch and pinhole, and say hello to a full, uninhibited view with Samsung’s new Infinity Display. 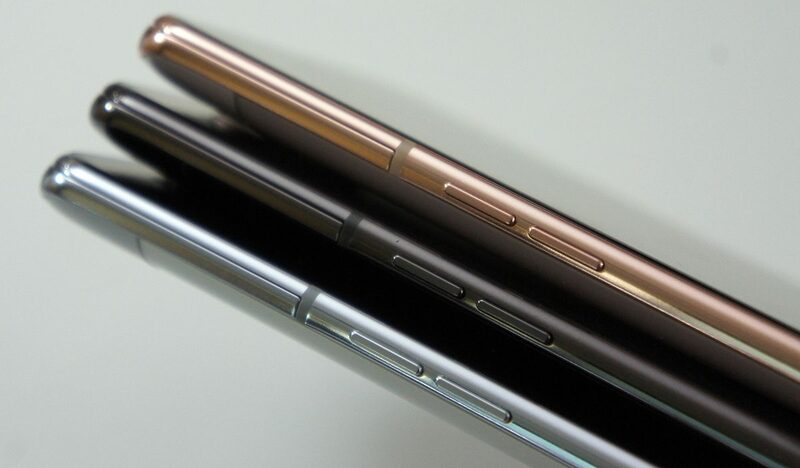 The 6.7-inch FHD+ Super AMOLED screen promises vivid details. 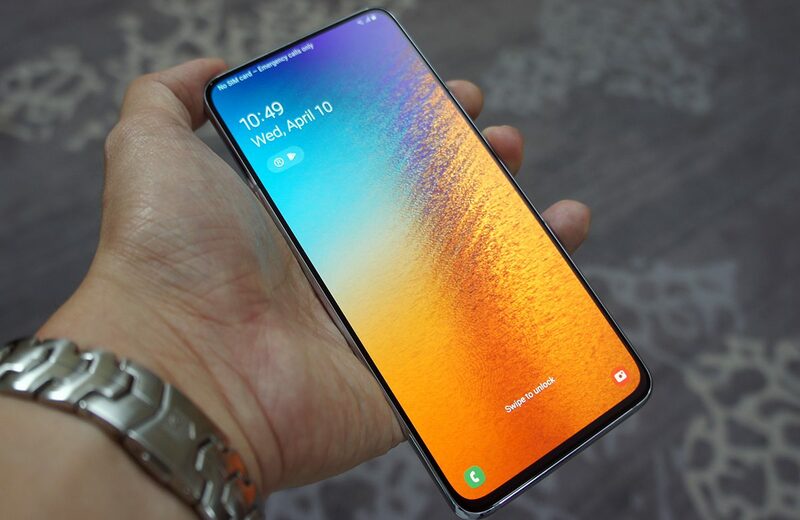 The Galaxy A80 comes with a 3,700 mAh battery with Super-Fast Charging at 25W capabilities, which is also expected to come to Samsung’s S10 series of phones later this month, via a software update. 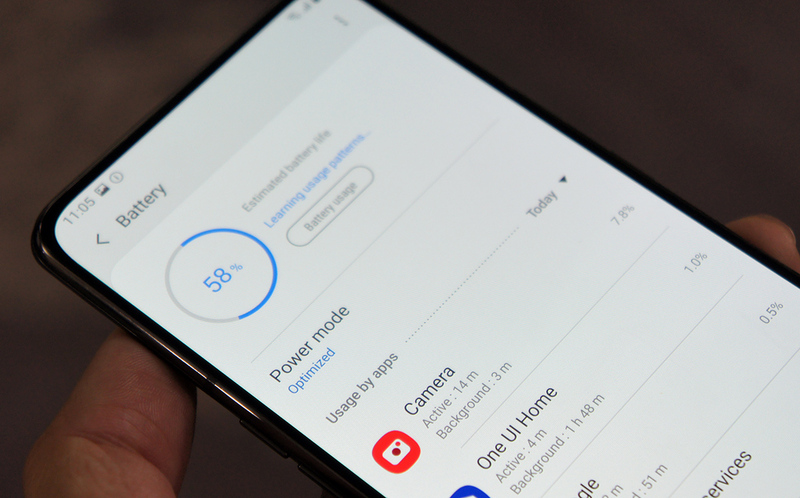 Samsung claims the new Adaptive Power Saving Mode of the A80 intelligently learns the user’s daily routine and app usage patterns and automatically optimizes the phones power consumption. 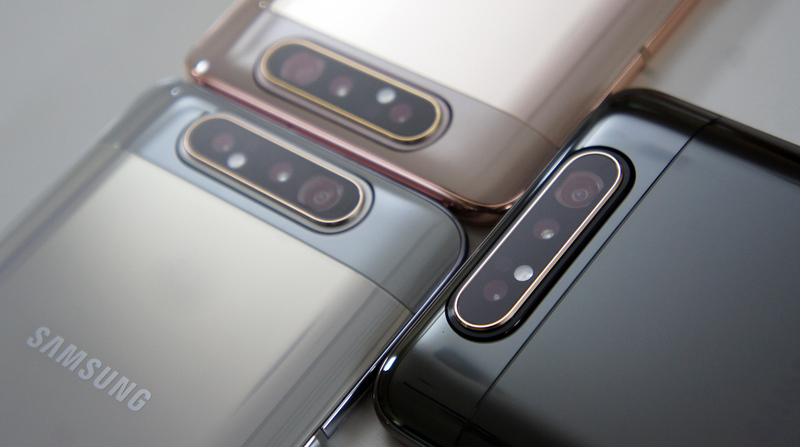 The Galaxy A80 is available in three colours: Angel Gold (with elements of pink), Ghost White (with hints of blue) and Phantom Black. 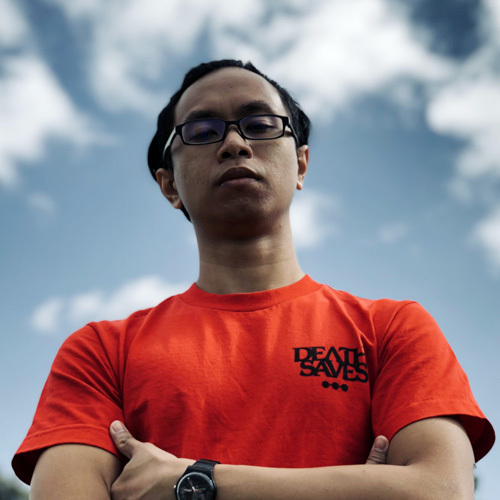 Watch how the colours look different depending on the light direction and reflection. 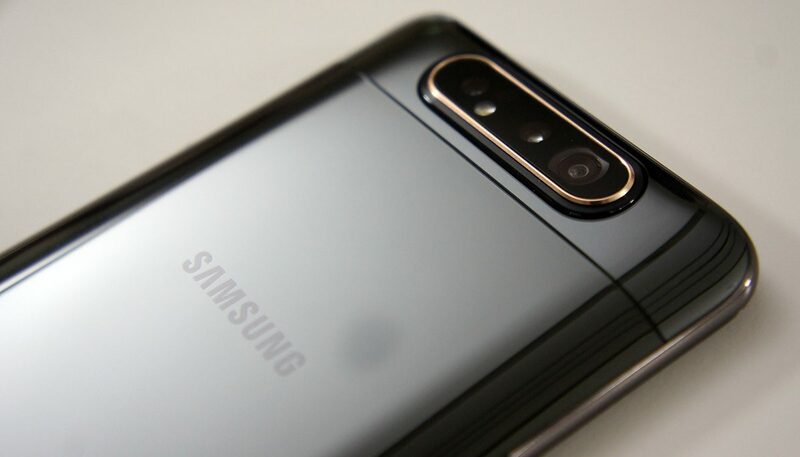 The Samsung Galaxy A80 will be released in Q2 of 2019. 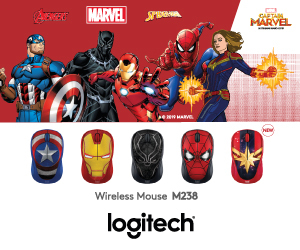 Actual details of availability and pricing will be announced at a later date. 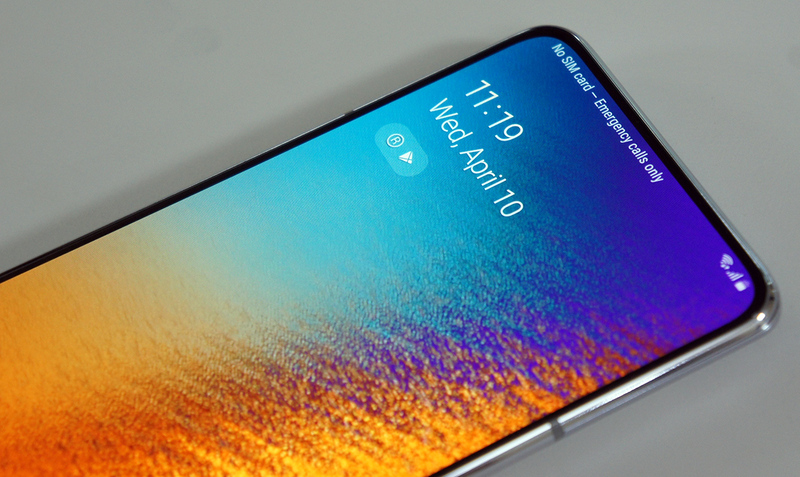 Could this mark a new era of true full-screen “notch-less” displays and rotating cameras? Or will it just be a passing fad? 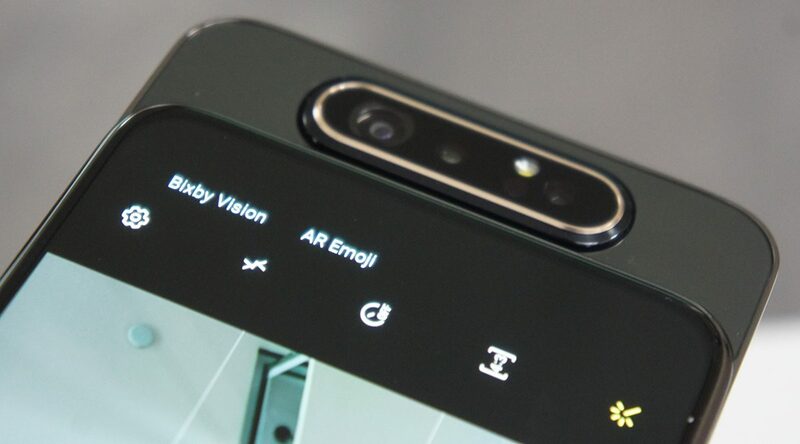 This is not the industry’s first rotating camera on a smartphone, as the Oppo N1 took home that honour back in 2013, though it never caught on then. 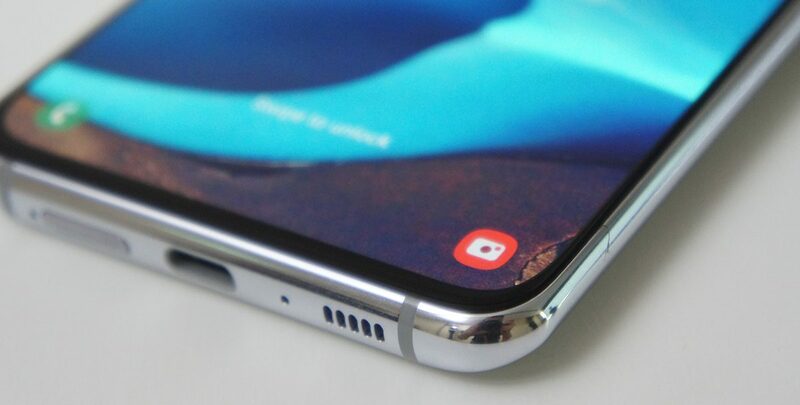 We sure hope it’s the former, based on what we’ve seen with Samsung’s latest offering. 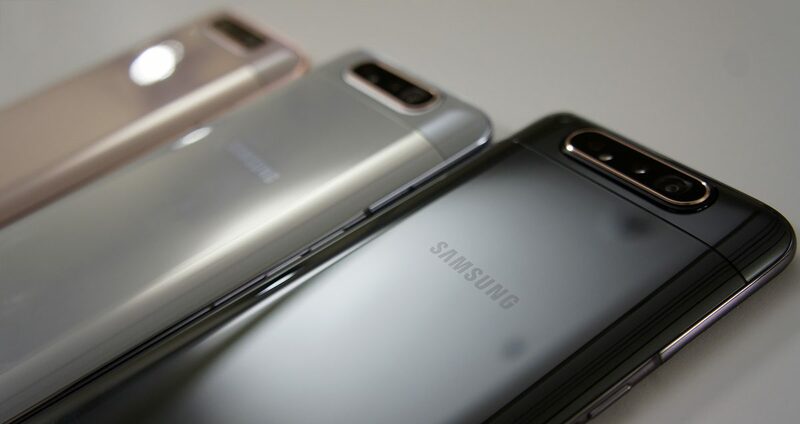 If this is what a mid-range phone can muster, we can’t wait to see what Samsung will do to implement rotating cameras on their future flagship phones. 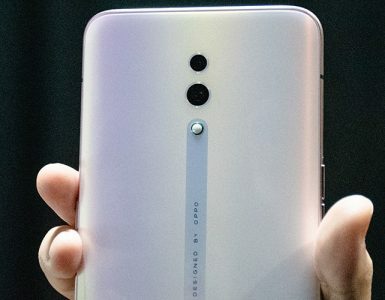 Consider this a budget Huawei P20.